This guide is for carers who are looking after someone who gets support from the local Council. If the person you care for gets support from the Council, part of what you do in caring for them could be helping them to decide what kind of support they want, or making sure that the support they get works for both of you and complements the care you provide to them. This guide is also for carers who get, or who want to get, support from the Council to help them with caring. 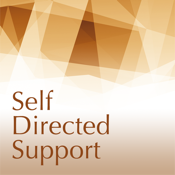 Carers can get support for themselves as part of the Social Care (Self-Directed Support) (Scotland) Act 2013. Carers should also have choice and control over support to help them in their caring role, and this law means that Councils can offer carers support in their caring role.